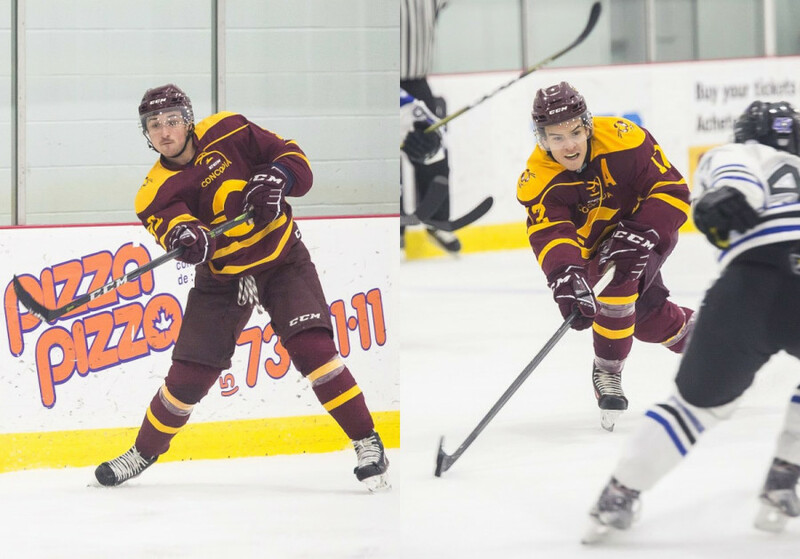 Two Stingers men’s hockey players took the U Sports world by storm this season, carving out spots atop their respective scoring races with seasons to write home about. Forward Anthony Beauregard and defender Carl Neill had themselves banner seasons, leading the league and defenders in points respectively. Neill’s 31 points in 28 games not only paced first amongst all blueliners in U Sports, but made him a standout in the league in his very first season in the university ranks. Beauregard’s resume for the season is a collection of successes. First in points (60) and assists (41) in the country, second in goals (19), in addition to two point streaks spanning ten games or more (10 and 16 games). 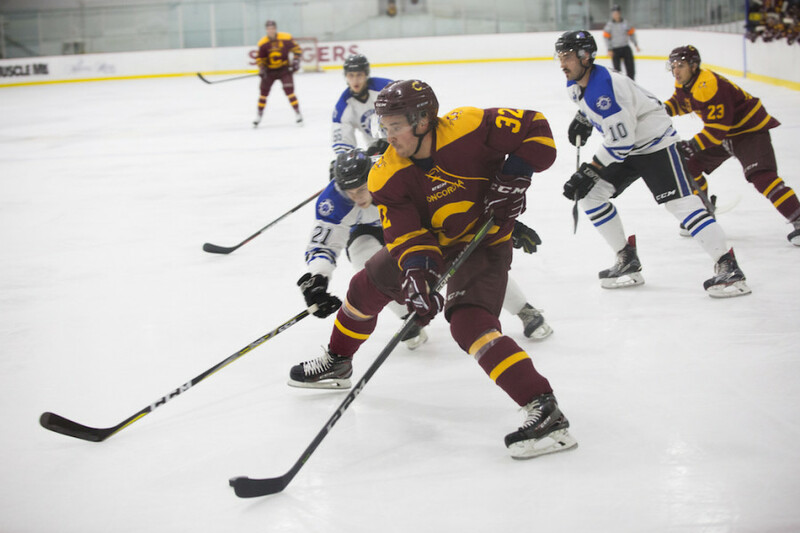 “He plays his heart out out there,” said Stingers captain Phil Hudon, describing Beauregard’s fiery, dominant play. If Beauregard is the fire of the team, Neill is the ice. While Beauregard brings a fierce, energetic game to the rink that ignites his team, Neill’s game brings a calm, analytical intensity to the ice that allowed for him to jump into the team’s number one defender role seamlessly at the start of the year. The two form a dangerous duo that becomes even more impressive when you realize how little experience they have together. Neill is just a rookie but has managed to put up points in all but five contests this season. Beauregard went pointless in only two games. Related: Anthony Beauregard’s Historic Season. “He’s still young so he’s going to learn a lot, but he jumped right into our system. He’s smart. He’s a really good player,” said Stingers head coach Marc-André Element, praising the rookie’s hockey sense and ability to jump into a new league without trouble. While Beauregard may not be a rookie like Neill, he had only notched 12 U Sports hockey games before the start of this season. While he had managed to impress in that short time last season, he was clearly on another level this year. “I just have some confidence that I didn’t have last year,” explains the team’s star forward who has developed into a complete player this year, earning time on both the power play and penalty kill. Neill credits that same confidence and a high level of inner team competition with being able to have such an early impact as a rookie. “It helps to play with Beauregard too,” joked Neill. If the level of expectation that comes with the production that the two Stingers put up added pressure for them, they certainly didn’t let it show on the ice. “He’s not scared of the pressure at all. He’s so good under pressure,” said Element of Neill. If anything, he and Beauregard seem to thrive in high-pressure situations. 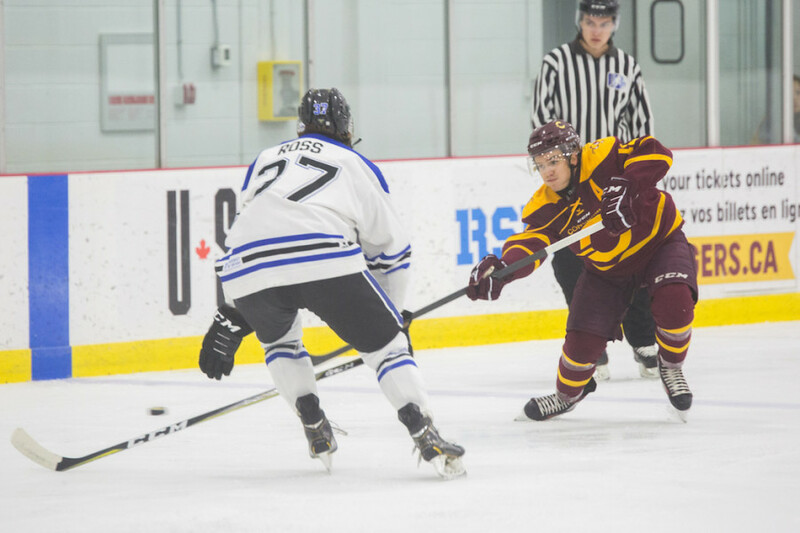 Both managed to register points in their two-game sweep of the University of Ontario Institute of Technology Ridgebacks in the first round of the playoffs. The pair’s success has garnered them some end of season awards buzz. Beauregard is a contender for the league’s MVP award. His captain certainly thinks so. “Without a doubt. Without question,” said Hudon. Beauregard himself isn’t too worried about the potential award. His eyes are focused on the playoffs. “It’s nothing for me. I just want the cup this year. Forsure it’s cool, but at the end of the day, if we don’t win the cup it’s nothing. It’s just some stats,” said the league’s top scorer. Neill seems to be of the same mind when it comes to his candidacy for rookie of the year, an award that former Stinger, Anthony De Luca, took home last season. “Maybe after the playoffs I’ll think about that,” said Neill, who scored a goal in his team’s overtime victory that earned them a ticket to the second round of the playoffs. While the pair may not be thinking about the awards themselves, it would be a surprise not to see them bringing home some hardware once the season comes to an end.